We have a 1989 Porsche 911 3.2 Carrera G50 convertible in a very authentic condition. Initially supplied to Salt Lake City on the 17th April 1989, it has only done 74,047 miles in all that time. 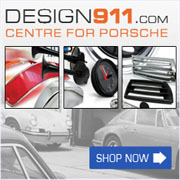 The 911 comes fully documented and has every (stamped) service booklet and owners manual. Thanks to meticulous maintenance through out its life, mechanically the car is in superb condition as the service booklet demonstrates. This unrestored G50 has superbly straight bodywork. The paintwork is very nice and mostly in its first coat! The uncorred underbody is totally sound. This 911 has the popular G50 5-speed gearbox. Its special finish of ‘Grandprix Weiss’ is great with the navy blue leather trim and hood. The whole is topped off with Grandprix Weiss centered Fuchs rims. The car has factory fitted climate control, 2 electrically adjustable seats, cruise control and even an electrically operated hood. The car is fitted with the original, Matching Numbers, 3.2 engine. The car has been Porsche certified and has all the original stickers under the bonnet, in the back of the engine recess and in the service booklets. In short: An extremely original unadulted and well-documented Porsche with G50 transmission.